It sort of feels like a Leonardo DiCaprio/Brad Pitt/Robert De Niro film of some sort should have happened already, when you think about it. All three actors are some of the best in Hollywood, and each are majorly respected; it just seems like there should have been at least one (perhaps Departed-esque) film that called for the casting of all three at the same time. But, the reality is, there hasn't been — until now. 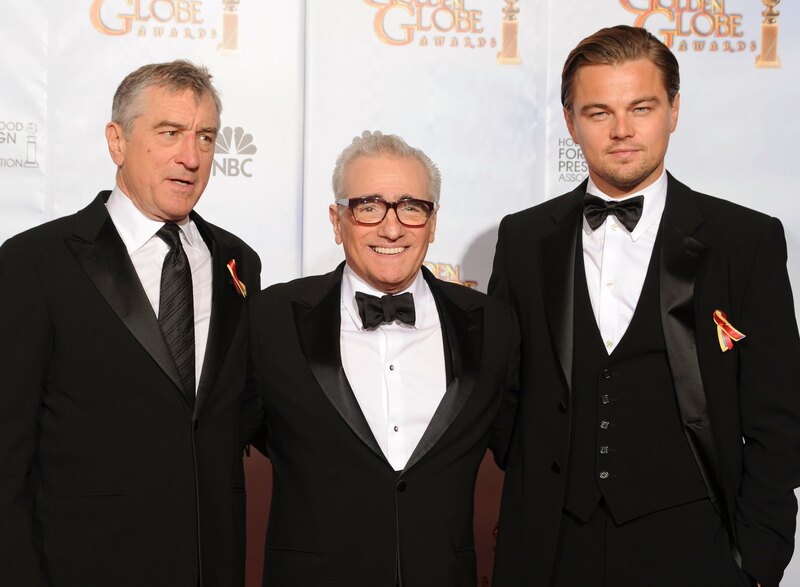 According to JustJared, Leonardo DiCaprio, Brad Pitt, and Robert De Niro are all starring in a new Martin Scorsese-directed short film to promote global casinos brand Melco-Crown Entertainment. Even better: on top of being directed by Scorsese, the whole thing was written by Wolf of Wall Street writer/Boardwalk Empire creator Terence Winter. RatPac Entertainment, who is producing, reportedly told the Daily Mail : "This is an unprecedented collaboration because it’s the first time Robert De Niro, Brad Pitt and Leonardo DiCaprio ever worked with Martin Scorsese together in the same film. Leonardo has done five films with Mr. Scorsese and Robert De Niro has done eight with Mr. Scorsese but never together." SOLD. But wait — not so fast. While this sounds awesome, unfortunately, it doesn't seem like there's going to be any real opportunity to see this short film in theaters or anything like that: Apparently it will be shown at the opening of Melco-Crown's movie-themed casino resort next year...which is all the way in Macau. So, unless you're gonna be in the area some time during 2015, it doesn't look like we're going to get to see these three legends in action so easily. All we can hope is that they release this thing online, because seriously, it's the 21st century. How can they not?